It has been a while since my last post. People who follow me since the very beginning (2009), are aware that from time to time I need to get a distance from the site. At least, this time I made it differently, and didn’t delete it, right? I adore music and i really love this.. I still do not know if i am back for good. Anyways, there are so mny great music out there…that i will try to share something. I am starting this by publishing the new video of The Gift, one of my favourite bands ever. It is now 20 years since they started and they just released a double compilation, with three brand new songs. 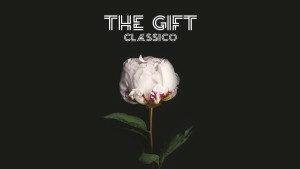 ” Clássico” is one of them, and it is a great song. Try to avoid the prejudice of not listening to it because it is in Portuguese…and be enchanted with SÓnia`s voice!